Edlets are the official accommodation partners of the Edinburgh Festival Fringe and can provide you with economical and centrally located accommodation for your stay in Edinburgh. If you are looking for accommodation for August then please do register your interest by clicking on this link or call us on +44 (0)131 510 0020 to make an enquiry with our Edinburgh based team. We have a range of spacious 3, 4 and 5 bedroom group apartments located in Edinburgh across The Old Town, Royal Mile, New Town, Marchmont and further afield that will suit your party – whether performers or visitors here to catch the various sights and late nights! We also provide individual studios, private en-suite bedrooms, and additional properties offering from 1 bedroom all the way up to 10 bedrooms in each! 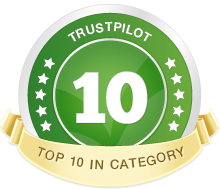 We have many satisfied customers, a dedicated bookings and customer service team with a current TrustPilot rating of 9.5 out of 10 – not something any of our Edinburgh competitors can match. Edlets are Edinburgh’s largest booking portal for short lets. Our local team are available 7 days a week providing unbeatable customer service and we only employ local staff with an in-depth knowledge of the Edinburgh market. With over 12 years experience we offer the professional and personal service that you and your guests need!